In response to the wave of Islamic terror attacks that hit France over the summer, the French government has doubled the amount that will be spent on security for schools in the Paris region. French schools in particular have been targeted by the Islamic State in its propaganda materials. In other news, officials in the Greek islands of the eastern Aegean have complained that they will need more government help coping with the recent resurgence of migration from Turkey. Thanks to Dean, Diana West, Fjordman, Jerry Gordon, MC, Reader from Chicago, Steen, Vlad Tepes, and all the other tipsters who sent these in. Last week German Chancellor Angela Merkel paid a visit to Prague, where she pow-wowed with government officials and was met with vigorous protests by Czech citizens. While Prime Minister Bohuslav Sobotka was busy meeting with her and selling his country out to the EU, Tatjana Festerling of Festung Europa was speaking in another part of town to a gathering of Czech patriots. Below is a video of her speech, which was given in German and has been subtitled in English. Our Israeli correspondent MC has some thoughts on the “refugee” crisis that is currently destroying European civilization. The so called ‘refugee’ crisis is a crisis of young fit males of military age forcing their way into places they have no right to be, at the behest of people who have no right to invite them, on behalf of people who don’t want them. However I am given to understand that Kurdish females are fighting alongside their menfolk for the right to their own country. Excuse me if I am cynical. I hope that if my country were invaded by Wahhabist barbarians I would be fighting back, doing what I could to support the military. As a vet, I can still handle an assault rifle even if I cannot run any more. I can understand families getting out of the fire zone, but why are the invaders of Europe overwhelmingly young males of military age? Should not they be defending their countries too? I am suspicious firstly because most are not refugees, and as such, they are illegals: they have crossed more than one (safe) border and have thus lost their refugee status, and as criminals they need to be interned until such time as they volunteer to return, or are forcibly returned. As for families, they are welcome as temporary residents until they can safely return to their normal place of abode. This should be a zero-sum game. Temporary residents are then welcome to apply for permanent residence through normal legal channels. In Jordan and Turkey there are refugee camps (concentration camps?) — why are we not building them in Europe? Why are we inflicting the burdens of accommodation and integration on a defenseless public? Is this just plain intimidation, or is there a more sinister goal? Our leaders, our ‘betters’, want to prove that we are all equal and that ‘diversity’ is a wonderful thing, but where does ‘diversity’ end and cultural saturation begin? 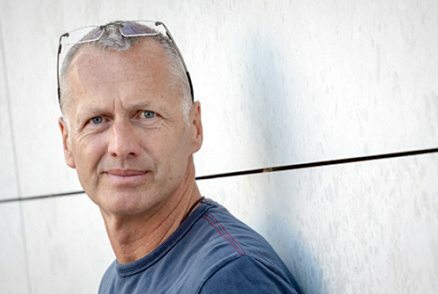 Where is the wonderful diversity that ‘white’ culture can bring to ‘brown’ culture? Melting pots are anti-diversity; they produce a bland stew with no taste whatsoever. Is this the latest fad and folly of socialist pseudo-science? When it comes down to it, socialism produces a very ugly grasping society, where one has to scramble for the handouts because there is never enough to go around. The Orwellian pigs can select their favorite victim groups to be more equal and to receive what largesse there is. The rest can await their turn, shut up and pay up. Of course any dollar we get back from socialism costs us a dollar-fifty or more in taxes because we still have to pay the salaries of the piglets who administer the system, and also pay for those not paying the taxes. 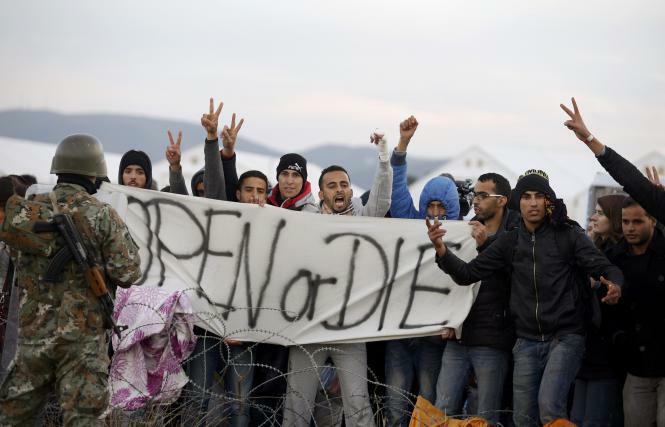 Those million migrants are going to cost Europe their weight in euros (paper ones, that is). Then there is the electoral fraud inherent in keeping a nation of professional spongers and idlers. These are people who see government as the golden goose, not the taxpayers without whom the whole system collapses. I work indirectly for a huge US company, a company which is getting more and more hamstrung by restrictive legislation, all of which has to be paid for by that same taxpayer. When I started working for another US giant in 1977, we were hamstrung by an antitrust suit, even offshore, but that company was exporting and bringing in foreign currency. We worked efficiently as highly skilled software developers. We handled the whole application lifecycle and handed over a finished, working product to the users. Now, producing the actual software is a tiny part of the process, for each line of code delivered there must be about 10 pages of documentation and 60 emails and 10 conference calls. The software developer is now at the bottom of this ‘lower-archy’ pile. But she still needs to be highly professional because she still carries the can if it all goes wrong. Are we trying to make the West fail? When Jews were in need of a place of safety, the iron doors clanged shut, and the keys rattled in the locks. Even already-issued visas were revoked. Most of our politicians can ‘see’ the difference between Muslims and radical Muslims. To me, the difference is not so clear. The Orlando shooter was deemed to be moderate — that is until he demonstrated with an appalling practicality that he was radical. From tiny moderates do murderous jihadists grow. 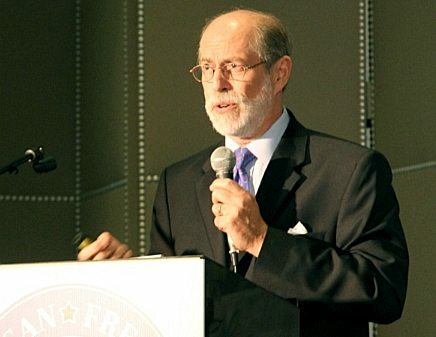 On August 21 the American Freedom Alliance presented a conference in Los Angeles, “Islam and Western Civilization: Can they Coexist?” One of the featured speakers was Dr. Andrew Bostom, the author of The Legacy Of Jihad: Islamic Holy War And The Fate of Non-Muslims and Iran’s Final Solution for Israel: The Legacy of Jihad and Shi’ite Islamic Jew-Hatred in Iran . 31 Islam and Western Civilization: Can they Coexist? 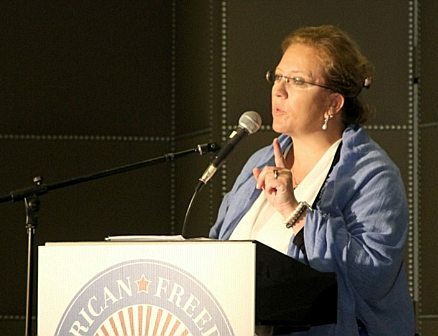 On August 21 the American Freedom Alliance presented a conference in Los Angeles about Islam and the West. Henrik Clausen was there taking photos and video, and sends the following report on the day’s events. American Freedom Alliance: Islam and Western Civilization: Can They Coexist? At this one-day conference in Los Angeles, California, the local chapter of American Freedom Alliance presented a record-setting list of 19 ‘Islamophobic’ speakers talking about the current state of things between the West and Islam. Some of the speakers were very famous, such as Pamela Geller, Robert Spencer and John Bolton, some were less well-known, but they all shared a common concern for Western Civilization and the Islamic challenge. And each speaker had a unique perspective, with more to say than could fit into a single day. Fortunately for the organizers, the house was packed. That caused a bit of a line at the security check — the fact of the times is that an event like this cannot be held without serious, professional security. But the tall, muscular guys handled things in a relaxed manner, and most of the participants would be used to being metal-scanned and having their bags searched. Each speaker had quite different topics to talk about, so there was much to learn and think about. One repeating theme was: “Are we winning this war, or not?”. Interestingly, the speakers had quite different opinions about this. On the negative side was the uncontrolled flow of Muslim refugees and the series of violent attacks we have seen. But on the other hand, it is becoming increasingly clear — even in the mainstream media — that the problem is real, serious, and is not going away by being ignored. And those politicians who still try to ignore the problems or lie about them are losing their credibility, leaving space for those who want to do something. Another repeated theme among the very different topics covered was the American elections, and in particular Donald Trump. Robert Spencer made the case that the mere fact that Trump mentions the problems and suggests meaningful solutions is bringing us forward very fast, that we can now discuss matters that were largely hidden just a year ago. By way of principle, the organizers would not recommend who to vote for, but some unruly audience members shouted “Trump, Trump!” when they had the opportunity. The speakers assiduously kept their focus on their topics, not on the election. Earlier this year we featured a talk by the Czech lawyer and activist Klára Samková. In the following video from Czech TV you’ll see Ms. Samková engage in a spirited discussion with a mealy-mouthed “sunshiner” (a leftist or progressive) about the European migration crisis. The situation they’re debating is the 21st century’s actualization of The Camp of the Saints (see Fjordman’s discussion of Jean Raspail’s writings). From the sunshiner’s viewpoint, the boats are coming, the boats cannot be stopped, and the wave of invading “refugees” cannot be opposed. Like France in Mr. Raspail’s imagined apocalyptic scenario, Europe is totally helpless in the face of the immigrant wave. German Chancellor Angela Merkel is now facing a possible revolt from the CSU, the CDU’s sister party in Bavaria. The CSU is reportedly considering proposing a different party leader ahead of next year’s election, and may even break away entirely from the CDU. In other news, on Monday more than 6,500 migrants in a number of different boats were rescued off the coast of Libya by the Italian coast guard. Thanks to AF, Dean, Dora, Fjordman, GH, JD, Reader from Chicago, TS, and all the other tipsters who sent these in. On August 21 the American Freedom Alliance presented a conference in Los Angeles, “Islam and Western Civilization: Can they Coexist?” One of the featured speakers was Guy Millière of the Gatestone Institute. Hamburg. It is the kind of case that gives chills to even a hardened cop. In Harburg, a 14-year-old girl was raped, abused and afterward she was thrown outside in icy cold temperatures clothed only in a blouse and underwear. Three of the four offenders are sitting in jail. One of them is only 14 years old. Among other things, they are now accused of attempted murder. The incident happened on February 11th. According to information provided the Abendblatt the 14-year-old lived under the supervision of the youth welfare office in a guided youth home. On the day of the incident she was brought together with four young men in an apartment by a 16-year-old female friend Alcohol was being passed around. The girl was so drunk that she passed out. What happened next was recorded on various cell phones. Three of the four men from Serbia pounced on the helpless girl and raped her. The abuse, so it’s said, was filmed by the female acquaintance of the victim. Then the still-passed-out 14-year-old was taken outside into the courtyard and left there. Temperatures at that time were barely above freezing point. The girl was found in time and was brought to the hospital with hypothermia. Her condition had been life-threatening. The investigation was difficult. The abuse was determined in the hospital. The police put the special unit that deals with sexual crimes on the case. The girl apparently had no memory of the crime. The case was first dealt with strictly as a sexual offense. Only later the attempted murder charge was added. The assigned judge was the one who determined that there were signs of attempted murder. Investigators arrested three of the four offenders, among them the 16-year-old girl who filmed the abuse. Her cellphone that recorded the entire disgusting offense was also secured. Two of the male offenders are still sought after. Among them is the only adult; he’s 21 years old. Both individuals are from the Harburg area. Possibly both of them have already left the country and are hiding in their home country. We all know what the Obama administration thinks about illegal settlements in the West Bank. There’s no greater crime than building new settlements in “The Territories”. Unless they’re illegal Arab settlements. That’s a different matter — those must be protected at all costs. Dismantling them would be a grave crime against humanity and a violation of international law and etc blah yak. 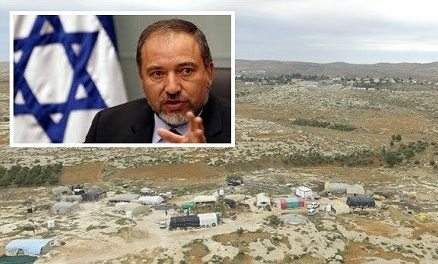 Israeli Defense Minister Avigdor Lieberman (photo inset) will probably present his ministry’s formal reply before the Supreme Court. This is the reaction to the proposal of the leftist NGO “Rabbis for Human Rights,” which demands an end to the demolition of an illegal Arab settlement. A series of buildings of the illegal settlement (photo) near the Jewish village Sussiya in the vicinity of Hebron is slated for demolition. It was reported Wednesday that high-ranking US officials have put heavy pressure on the Israeli government, not to execute the demolition order. The report indicates that the officials have threatened an extremely serious American reaction if the demolition occurs. Tuesday, despite the warnings, forces of the civil administration destroyed a number of illegal structures in the neighboring city of Umm el-Keir, which had been built along the security fence of Carmel. Some of these buildings had been built with the support of the European Union. In addition to the USA, the EU and the UK have joined the effort to prevent the destruction of the illegal Arab settlement near Sussiya. In 2013 a court decreed that Arab construction at that location be halted. This happened pursuant to a proposal of the NGO organization, Regavim, an NGO which monitors illegal Arab construction throughout Israel. A year later, the court issued the demolition order for buildings already constructed at the location. In 2015, the supreme court rejected a petition for temporary suspension of the demolition order and gave a green light for its execution by civil authority. 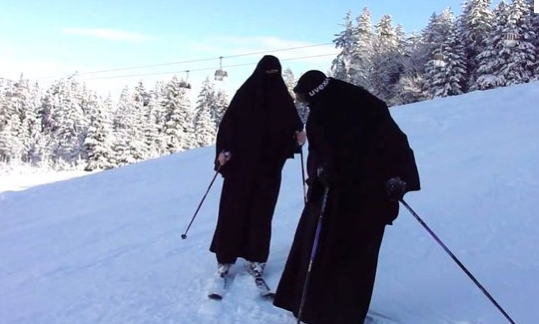 A devout Muslima wears a burka for everyday activities and a burkini for swimming, but what does she wear when skiing? Regular ski outfits aren’t all that revealing, but still… sometimes a woman’s hair is visible (gasp! ), and what about the spandex parts? Someone might see her shape, and then she would risk an “honor killing”. Riposte Laïque has the answer: the burqiski. You have more than two months to take advantage of our promotions of the model “burqiski”, an absolute must in anticipation of the upcoming winter holidays. Beware: there won’t be enough for everyone! The risk of shortage is expected, given the sudden popularity of this type of pioneering outfit, and its requirement by the Muslim Brothers of Al-Azhar mosque in Cairo (also known as the Psych Ward), it would be unfortunate if your modesty were no longer preserved and your imam / husband / brother / uncle / guardian / neighbor were to deny you access to the sport that, although invented by unbelievers, soon will be certified halal, by the grace of Allah! Know that the Council of State (peace be upon him) has authorized the burqiski on green and blue runs. However, on the red and black runs caution is recommended, and such attire should be avoided, because of wind resistance, especially if it arrives laterally. Indeed, during preliminary tests, due to strong easterly winds, there were deplorably some unexpected skirmishes of burqiskis with skieresses inside them against the many pine trees bordering the tracks. These regrettable incidents repeatedly required intervention by Megeve firefighters to get the unfortunate sisters stuck in sap and against soft wood, their skis dangling, while their panicked screams mournfully echoed in the mountains … “Allaaaahu akhbaaar! Allaaaahu akhbaaar!” Terrible. The manufacturer does not guarantee full satisfaction in case of the misuse of its products, dear sisters, so do use common sense by putting your burqiski on after shoeing your skis, and not before, or you may attach your ski outfit to your skiing shoes. Note that for the sisters who prefer the comfort of their slippers to the classic ski boot, we also market a suitable model: the “babouchki” a sort of rising slipper made of Moroccan sheep leather with small hooks on the side, whose persistent smell will pleasantly remind you the souks. Hillary Clinton’s closest advisor Huma Abedin has finally separated from her husband Anthony Weiner over the latter’s latest “sexting” escapade. It seems that Mr. Weiner sent new photos of his, ahem, crotch to various females, including a Donald Trump supporter, who went public with what happened. The photo of the ex-congressman’s bulging pants also showed the couple’s infant son, which is apparently the proximate cause of Ms. Abedin’s decision to announce the separation. In other news, the Italian coast guard rescued more than 1,000 would-be migrants in a single day. Thanks to AF, ESW, Fjordman, JD, ML, Reader from Chicago, Reader from Indonesia, Steen, and all the other tipsters who sent these in. On August 21 the American Freedom Alliance sponsored a conference in Los Angeles, “Islam and Western Civilization: Can they Coexist?” The keynote speaker at the event was John Bolton, the former United States ambassador to the United Nations.